As climate change threatens beer, breweries turn to sustainable practices. Severe drought forced Stone Brewing Co. and brewmaster Mitch Steele to rely heavily on water from the Colorado River. The stories sound almost biblical in nature. Fires sweeping through grasslands just outside brewery walls, leaving smoke and destruction in their wake. Rushing sea waters advancing on cellars, short-circuiting bubbling fermenters, intricate electrical operations and dreams. Statewide droughts crippling scarce water resources and drying out brewery supplies. This is the reality of climate change in the American brewing industry. 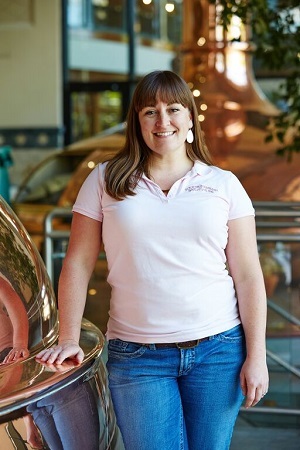 Cheri Chastain, sustainability manager for Sierra Nevada Brewing Co.
Breweries from California to Vermont have felt the impact of these adverse events. In San Diego, Stone Brewing Co. has had to cope with severe water restrictions and drought conditions in Northern California, which once provided much of the water used in the company’s production process. California is in the third year of a severe drought, according to the U.S. Drought Monitor, with nearly 60 percent of the state experiencing D4, or exceptional, drought conditions, the highest level possible. Governmental and private forecasters expect drought to continue and possibly worsen next year in the West. 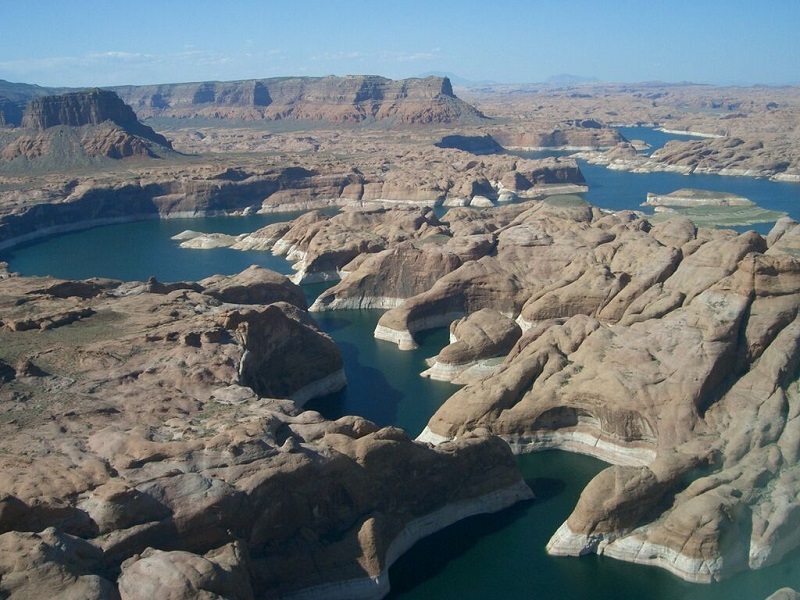 The severity of the drought has required Stone to more heavily rely on water secured from a secondary source, namely the Colorado River. This switch is not without consequence or cost. “The drought has overtaxed our capabilities, and that impacts our abilities to brew beer,” says Stone Brewmaster Mitch Steele. “What happens with the drought situation is that Northern California water is not coming, Southern California has lost water, and the reservoir levels are getting lower. So what’s happening is the mineral content of the water is skyrocketing.” The hard water from the Colorado contains two or three times the amount of dissolved minerals as the brewery is accustomed to handling. Stone’s brewers now have to run the water through a carbon filter and a reverse osmosis system several times to balance out the mineral content, largely calcium and magnesium. For a company that uses an estimated 2.5 million gallons of water per month, the extra work comes with significant additional costs. In addition to water concerns, Stone’s employees have also had to deal with a series of wildfires, stemming from the area’s dry conditions. “It’s actually happened three times in Stone’s history where the brewery has been shut down because of wildfires in close proximity,” says Steele. In Southern California, Santa Ana winds reverse the usual air flow, drawing hot air westward from the desert instead of blowing in cool air from the ocean, resulting in raised temperatures and dry conditions. “That’s when we start seeing the wildfire dangers and we start to see things burn,” says Steele. The Santa Ana winds usually blow in the autumn and winter. This year, they started in May. During that month, the brewery had to halt production and evacuate its employees due to a wildfire that passed close to the brewery. “When it first started, we evacuated, and then we came back the next morning, and it looked like it was under control,” says Steele. “Then the wind shifted and the fire started coming right at us, and so we had to clear out at the very last minute.” As employees evacuated, a time-lapse camera on the brewery’s roof captured the rapid spread of the fire in a video that eventually went viral, garnering nearly 150,000 views on YouTube. The brewery lost several batches due to ash filling tanks from roof stacks. “We had to shut down the brewery basically for about two and a half days, which at our busiest time of the year, we really couldn’t afford to do,” says Steele. In contrast to the dry West, brewers across the East Coast have dealt with a series of flooding incidents. In Vermont, Hurricane Irene in 2011 caused the Winooski River to swell and overflow its banks, eventually filling the basement of the Alchemist Pub in Waterbury. The cellars of the restaurant and bar, run by John and Jen Kimmich, contained its brewing operation and equipment. While the stainless steel tanks were salvageable, the flooding destroyed raw ingredients, food, beer and other equipment. The couple had fortunately recently opened a cannery nearby, which became their focus after deciding not to reopen the pub after the damage. Similarly, Hurricane Sandy in 2012 battered New York City and its breweries. In Brooklyn’s Red Hook neighborhood, Sixpoint Craft Ales lost power and sustained minor damage from the storm. In Oceanside, Long Island, the Barrier Brewing Co. was not as fortunate. With the encroachment of more than 4 feet of seawater inside the brewery, the small outfit experienced losses of nearly $100,000, including several vehicles, brew-house equipment and ingredients. In the wake of the storm, eight Long Island breweries banded together to create a special-release beer, humorously titled “Surge Protector, Sandy Relief IPA.” Profits from the beer’s sale were provided to help Barrier Brewing reopen and to benefit Long Island Cares, a local food bank and charity service. Critics and commentators have long branded sustainability efforts as New Agey and amorphous, which tended to undermine the growing necessity and urgent call to action from scientists and business leaders. The battle for sustainability has often found itself caught between two seemingly repellent poles: the pro-environment radical types and anti-environment business fat cats. With the number of breweries in the United States booming, coupled with existing ones growing at double-digit rates, the quaint notion of small, handcrafted operations having little environmental impact is as dated as the flip phone. But despite their growing numbers, the smaller brewers create only a fraction of the environmental impact of large brewing companies and nothing compared with the energy and water costs necessary to produce the raw ingredients used in brewing. More than 90 percent of the environmental footprint of brewing occurs in the agricultural supply chain, according to Kim Marotta, director of sustainability for MillerCoors, with barley farming consuming the vast majority of the resources. “Farming is what has the biggest impact over the whole product,” agrees Chastain. According to research from the Water Footprint Network, an international group promoting sustainable, equitable and efficient water use, the water footprint of the malted barley required to produce beer is nearly 300 liters of water per liter of beer. By contrast, the water footprint of the entire production brewing process is six to eight liters of water per liter of beer. At the largest breweries, including MillerCoors and Anheuser-Busch, that number is closer to three to one. For example, MillerCoors was an early adopter in the brewing industry of the practice of water footprinting, which involves studying the watersheds of its eight major breweries and hundreds of agricultural suppliers. Using indicators from the World Resources Institute, MillerCoors looked to determine whether these regions were water-scarce or water-stressed and then understand the stability and quality of the sources of the water. The company also looked to determine the impact of climate change, population growth, agricultural demands, industry growth and other factors to create a watershed strategy for each location. Small changes — including retrofitting inefficient water guns with new models — helped a MillerCoors farm reduce water and energy use. Following their study, MillerCoors worked with their agricultural suppliers to reduce water and energy use, sometimes in very small but impactful ways. 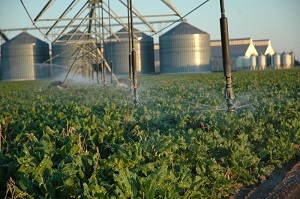 These included simple fixes such as retrofitting inefficient and ill-performing nozzles on farm water guns, lowering them to the ground to avoid evaporation, using global positioning system technology to track irrigation and stopping water usage on hard-to-reach corner crops that did not even meet the company’s brewing standards. After implementing these efforts at its Showcase Barley Farm in Idaho, MillerCoors saved more than 440 million gallons of water in a three-year period. “If you put that in perspective, that’s about what we might use in one of our breweries in about a five-month period,” says Marotta. As a result of pumping less water, the farm’s energy usage also dropped by 50 percent. “More importantly, we saw better yield,” she says. After the program’s success, MillerCoors now shares these practices with other growers and farmers in its supply chain. In light of the comparatively substantial environmental footprint of both farmers and big brewers, the inevitable question arises whether smaller brewers’ sustainability efforts can be meaningful. With the wave of new brewers producing more than quadruple the amount of beer they did 10 years ago, the corresponding increase in the consumption of natural resources, including water, is cause for consideration. While they lack the volume and buying power of the big breweries, many regional and national brands have long promoted sustainability practices. As with MillerCoors, Anheuser-Busch, and other big breweries, others, including Sierra Nevada, are also working directly with their agricultural partners to move toward more sustainable farming. “We have our own organic hop and barley fields at our brewery in Chico, and there are a lot of challenges with it, so we fully understand what some of the growers are facing when they’re trying to change their farming practices,” says Chastain. 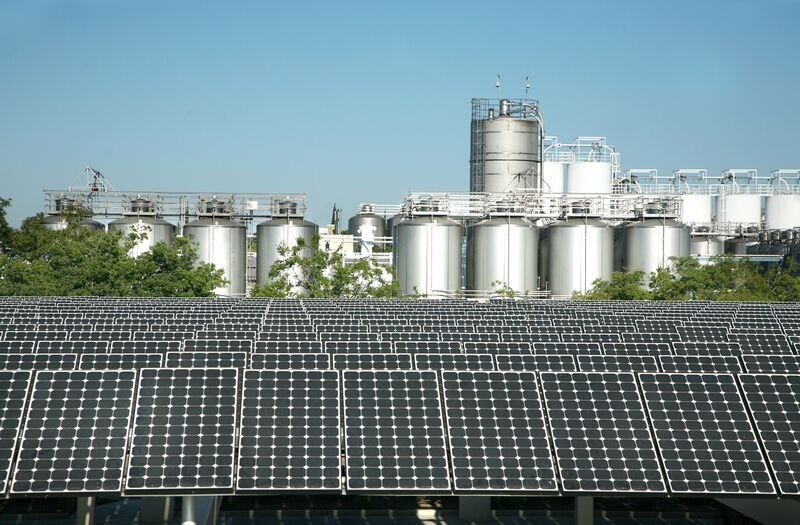 The two breweries have invested heavily in renewable energy sources, including solar and wind, as well as pioneering the adoption of sustainable production technologies, including anaerobic digesters, advanced waste-water treatment protocols and energy-efficient brew-house systems. Both breweries have also established and maintained strong and direct relationships with their agricultural suppliers. Sierra Nevada (picture) and New Belgium have invested heavily in solar power. Stier agrees and suggests that collaborative efforts with bigger brewers are also possible. “I don’t know if it’s something about the beer industry or what the heck is going on, but I just don’t see it in any other sector, that openness to share,” he says. Andy Crouch writes the monthly “Unfiltered” column for BeerAdvocate Magazine and is the author of Great American Craft Beer and The Good Beer Guide To New England.